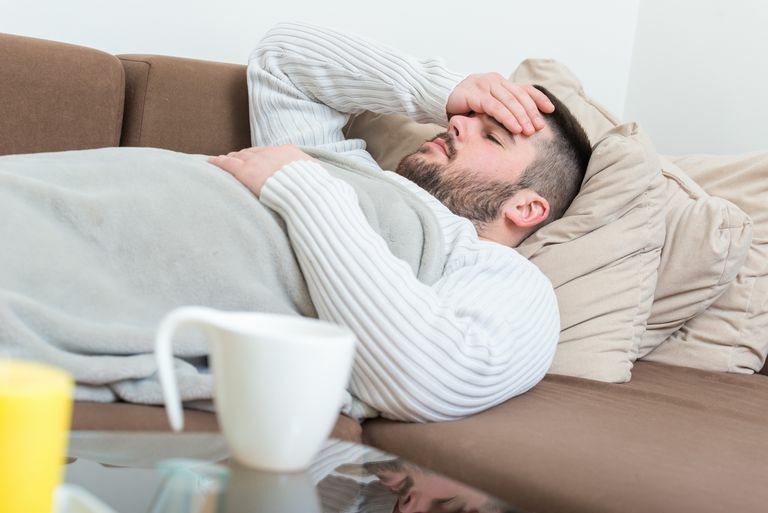 Serotonin syndrome is a potentially life-threatening condition that's caused by elevated serotonin concentrations in your system from certain medications. Serotonin is a chemical called a neurotransmitter that communicates with nerve cells and has a wide variety of functions throughout your body, primarily in your central nervous system and intestines. In the right amounts, serotonin is necessary, but when your body builds up too much and your levels get too high, symptoms can range from unpleasant to severe. If it's left untreated, serotonin syndrome can lead to death. Taking one serotonergic medication: It's unlikely that using one serotonergic medication by itself will cause serotonin syndrome, but it can happen in certain people who are sensitive to serotonin, especially when the dose is increased. Overdosing: You can end up with serotonin syndrome if you ingest too much of your serotonergic medication(s), whether or not it's purposeful. Taking two serotonergic medications together: The majority of cases involve a person taking two (or more) serotonergic drugs at the same time, often without realizing it. All of these drugs and substances affect serotonin in some way. Some block nerve receptors; some block reuptake; some slow the breakdown of serotonin; and some increase the release of serotonin. Because so many medications can contribute to serotonin syndrome, it's essential that any doctors you see who prescribe you medication always know about all the over-the-counter and prescription medications and supplements you're currently taking. You just started taking a serotonergic medication like one of those mentioned above or you had your dose increased. Some people's bodies are naturally slower than others' are at metabolizing serotonin, and this isn't something you or your doctor will know until you are on a drug that boosts serotonin. Most cases of serotonin syndrome start within 24 hours after starting or increasing a serotonergic medication and the majority of those start within six hours. You're switching from an MAOI to another antidepressant or vice versa. Almost all antidepressants contain a warning that you should wait for at least two weeks, and sometimes more, when you switch antidepressant types. One of the main reasons for this is the danger that having both types of drugs in your system can lead to serotonin syndrome. Prozac (fluoxetine) in particular takes several weeks to be flushed out of your body. You're taking more than one serotonergic medication, supplement, or substance at the same time. For instance, you're on Wellbutrin for depression and you take an Imitrex for a migraine or you're taking Zoloft (sertraline) and you treat a cold with DayQuil. If you suspect you or a loved one is showing signs of serotonin syndrome, see your doctor if the symptoms are mild. If your symptoms are getting worse or they're severe, head to the emergency room, or call 911. Quick treatment is important because you can become seriously ill and your condition can become fatal the longer you go untreated. Because the symptoms are similar to many other issues, you won't be diagnosed with serotonin syndrome until every other possible diagnosis has been ruled out. This is mainly because serotonin syndrome has to be diagnosed purely on your symptoms, history, and your physical and neurological exam. Neuroleptic malignant syndrome (NMS), another drug-related disorder that has some of the same symptoms as serotonin syndrome but results from antipsychotics. The biggest difference is that serotonin syndrome generally comes on quickly after starting the trigger medication, while NMS commonly takes about a month to show up. Once you've been diagnosed with serotonin syndrome, the first line of treatment is to discontinue all serotonergic drugs. Benzodiazepines like Valium (diazepam) or Ativan (lorazepam) may be helpful to relieve any muscular symptoms, and you may need supportive treatment like oxygen and intravenous (IV) fluids. Drugs that specifically act against serotonin, called serotonin agonists, can be useful if you have moderate symptoms as well. For mild to moderate cases, your symptoms should subside within 24 to 72 hours once you've discontinued taking the serotonergic drug and you can expect to fully recover. Certain antidepressants may take several weeks to clear from your system and for your symptoms to completely resolve. If your symptoms are worrisome, your doctor may have you hospitalized until you're stabilized. In cases where you're exhibiting signs of severe serotonin syndrome, you'll likely need to be hospitalized in the intensive care unit (ICU) until all your symptoms are gone. For high fever, you may need to be sedated and given a medication that keeps you still (paralytic) to avoid any more damage to your muscles. You'll also have a breathing tube and ventilator. It should be noted that some of the same symptoms listed above may also occur when you abruptly stop taking an antidepressant or you taper it off too quickly, known as SSRI discontinuation syndrome. Agitation, headaches, shock-like sensations, poor coordination, chills, and impaired concentration are some of the characteristics common to both syndromes. Because of this risk, it's vital that you never stop taking your antidepressant abruptly. You need to talk to your doctor first and follow a gradual tapering plan to minimize your risk of developing SSRI discontinuation syndrome.